At the ongoing Thailand International Motor Expo, the Chennai based two-wheeler manufacturer announced that it will soon inaugurate its first exclusive dealership in Bangkok, Thailand. It seems that Royal Enfield is on an expansion spree. One of the most iconic motorcycle brands in the world, Royal Enfield, disclosed its expansion plans, specifically for the Thai market, at the ongoing Thailand International Motor Expo. Royal Enfield will be targeting the mid-size motorcycle market in the Thai market with its current models. Th e existing models have engine capacities of 350, 500 and 535cc. 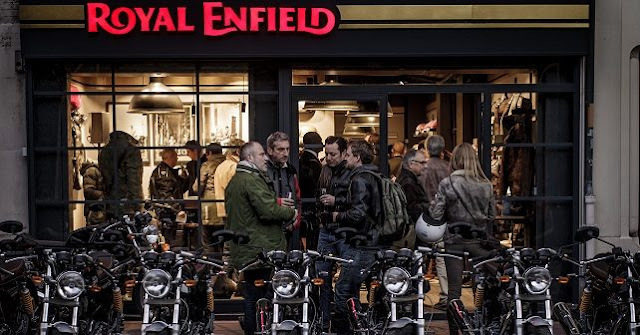 Royal Enfield will start its operations at Thonglor in Bangkok, Thailand in the next few months with its first exclusive dealership in Bangkok being set up in partnership with General Auto Supply (GA). Apart from selling Royal Enfield motorcycles, General Auto Supply will also be responsible for service and aftermarket duties of the brand.